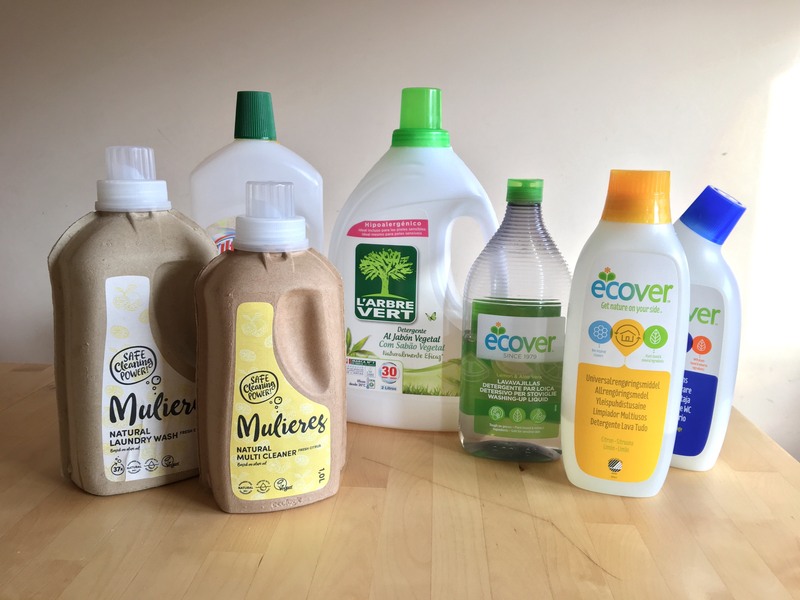 This week we want to talk about ecologic detergents. This kind of detergents should be used instead of traditional ones, that have more negative effects we could think of for our health and environment. Traditional detergents contain harmful ingredients that are not retained in water treatment systems, ends up in the oceans and therefore in our plate. 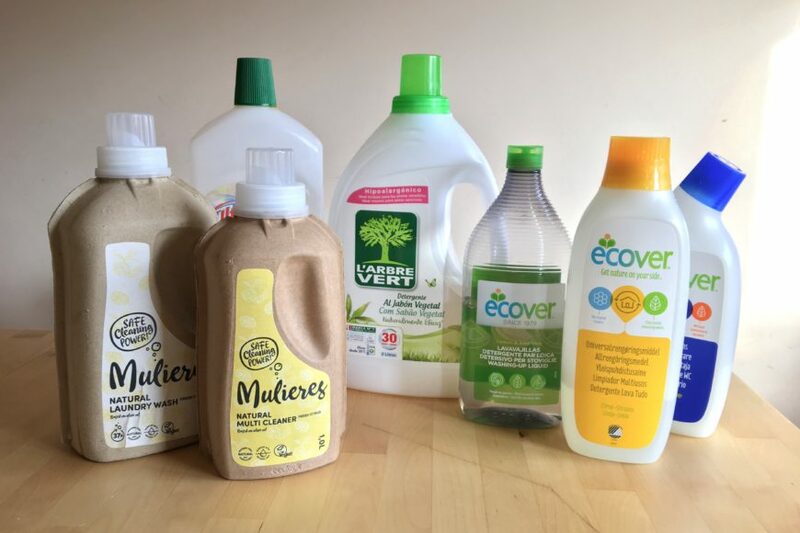 We should choose products that have eco labels, like the EU Ecolabel, and avoid detergents that contain ammonia, bleach, formaldehyde, nitrobenzene, lauryl sulphate and heavy metals, like lead and mercury. Reduce plastic use ( packaging is made of recyclable plastic, using less plastic in their production than normal packagings and promote refillable packagings); save the environment, energy and money ( they can’t be toxic for aquatic environments and need to be easily biodegradable, are eficient with low temperatures and concentrated, so you only need to use small doses each time); prevent against misleading ecological advertising ( greenwashing); protects your health ( contain chemicals that are less harmfull compared to regular detergents). This detergents can be found at several supermarkets or specialized eco shops. We normally used the ones from Ecover, L’Arbre Vert or Mulieres but exist a lot of others brands depending on your location. And is still possible to do your ones by yourself with homemade receipts… but we will leave that for another post!